In many ways, the Song Dynasty was an era of great change and reformation in Chinese history. The spread of affordable literature gave rise to an elite class of scholars from a variety of social backgrounds; the burgeoning trade economy meant that financial prosperity was widespread; and leisure activities gradually became a pastime enjoyed by more than just the privileged few. In terms of science and technology, the Song Dynasty saw advancements that would have a drastic effect not only China, but also the rest of the world. Towards the end of the Tang Dynasty (618-907), the development of woodblock printing meant that thousands of books could be quickly, easily, and cheaply produced. 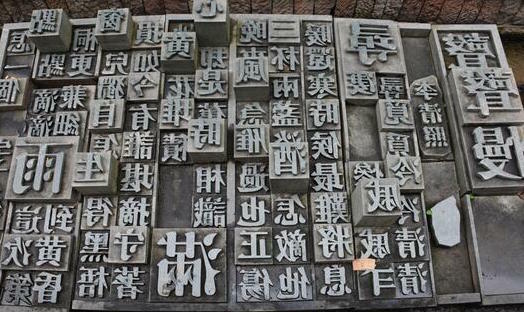 During the Northern Song Dynasty (960–1127), this process was further enhanced when a Chinese inventor named Bi Sheng created movable type printing. While laboriously hand-written copies of texts were extortionately expensive, printed copies could be mass-produced and were affordable to a wider range of social classes. China’s citizens from all walks of life began consuming literature voraciously and the country’s literacy drastically increased. Thus a wider range of people were capable of receiving a decent education, which in turn led to greater social mobility. Droves of scholars became well-versed in Classical studies, philosophy, politics, and Classical poetry; the basic foundations of the imperial examinations. The Song heralded the rise of the scholarly elite, who would eventually come to rival and replace the aristocracy in matters of government. Literary works also became more diversified and specialised. Textbooks on a myriad of subjects, from history and archaeology to law and even forensic medicine, were written and published to supply the growing demand. However, the spread of education brought with it new troubles. The prosperity of the Song Dynasty led to a population boom and this, coupled with the country’s improved literacy, meant that the supply of scholars far outweighed the demand. The imperial government could only accommodate around 20,000 active officials at any given time and soon there were scores of talented young men with no hope of gaining an official position. In an unlikely twist, the solution came not from the future, but from the past. This time it was out with the new and in with the old! A philosopher named Zhu Xi revived interest in Confucianism and began incorporating Buddhist ideals and Taoist terminology into his thinking. The result was the School of Universal Principles, which was arguably the most influential branch of Neo-Confucianism in Chinese history. This philosophy advocated the belief that the main goal of education was moral self-development, not success in the imperial examinations. Neo-Confucian academies sprang up across the country, accommodating the surplus of scholars who had failed to attain official positions. By the Southern Song Dynasty (1127–1279), these philosophers had garnered so much prestige that they were able to wield substantial political influence. 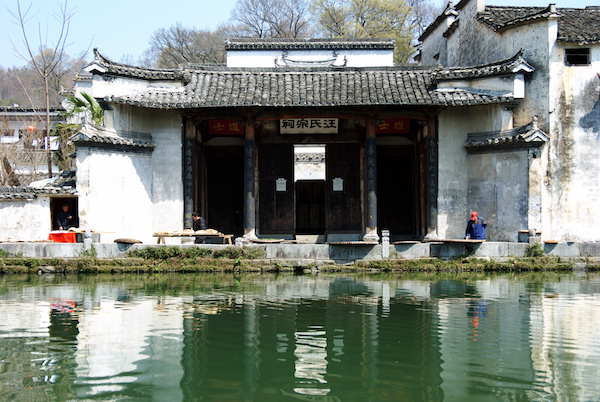 The Neo-Confucianism has influenced the culture of Huizhou Region for hundreds of years. Although Zhu Xi’s school of Neo-Confucianism was initially persecuted and banned by the imperial government, it would eventually be used as part of their political agenda. It seems that, even in ancient China, politicians were notoriously hypocritical! In 1237, the growing Mongol Empire (1206–1368) announced that, like China, it too was a Confucian state. Since it already occupied a large portion of China’s northern territory, the Mongol Empire represented a considerable military and cultural threat to the Song Dynasty. It was then that the imperial court finally acknowledged Zhu Xi’s School of Universal Principles, establishing it as the state orthodoxy and claiming that all other branches of Confucianism were false. In short, it delegitimised whatever Confucianism the Mongolians chose to follow. While the Song Dynasty was an era largely characterised by peace, it still dabbled in matters of war! Advancements in weapons technology were made thanks to the development of gunpowder, which resulted in early forms of the flamethrower, the explosive grenade, the firearm, the cannon, and the land mine. These powerful weapons gave the Song military an edge in battle, enabling them to compensate for their small armies and allowing them to defend against much larger ones. Alongside this weaponry, manufacturing of all kinds made headway during the Song thanks to new devices, better processing techniques, and individual expertise. In particular, Song porcelain attained international fame and is still renowned as one of the finest types of Chinese porcelain. Trade in goods such as porcelain was booming and the Song rapidly transformed into an advanced money economy. For the first time in world history, printed paper money was produced and used nationally as legal tender. Vigorous overseas and domestic trade catapulted the Song Dynasty into immense wealth, making it one of the medieval world’s most affluent and advanced empires. Chinese cities like Kaifeng and Hangzhou boasted populations of well over a million people, making them some of the largest in the world at the time. Teahouses, wine shops, and exquisite restaurants catered to China’s wealthy elite and pleasure became the order of the day. Theatres and public areas would provide daily performances of acrobatics, jugglers, wrestlers, sword swallowers, snake charmers, fireworks, gambling, puppet shows, storytellers, and singing girls. Social clubs of innumerable varieties, from art collectors’ clubs to exotic food clubs, became an integral part of life. In short, the Song Dynasty was a time of technological advancement, educational enlightenment, and delightful decadence!